You noticed I’d not posted for a while, and there you were thinking I’ve been swamped down with Real Life. I have to be honest and admit that’s just not true. Yes, I’ve been playing, but there have been More Important Things to distract me. 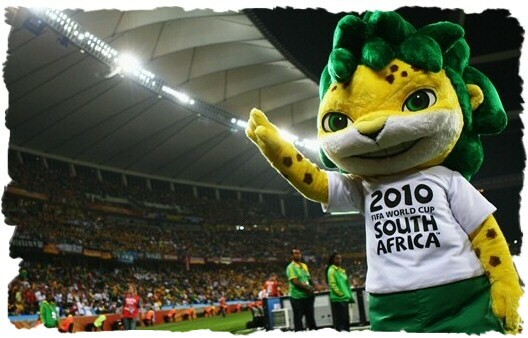 Let’s put Dr Who aside for a moment and concentrate on the large cuddly green-haired Lion up there who’s fronting the 2010 World Cup in South Africa. My national side have yet to show any kind of ability or desire to win, but no matter. It’s been a great tournament. New Zealand holding Italy to a 1-1 draw. Spain losing to SWITZERLAND. This is the kind of drama I love to watch! However my in-game inactivity is likely to change, as it’s confirmed that Battle.Net/The Ruby Sanctum is being deployed on the US servers this week, which means I’ll be brushing off P’s bow and prepping for the EU arrival of the patch once they screw up totally sort it out on the US servers first.